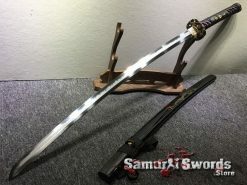 From a historical point of view, Samurai swords were one of the traditionally made Japanese Samurai swords that were used by Samurai of feudal Japan. 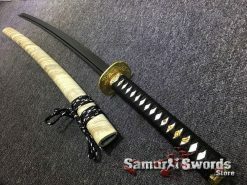 Most of Samurai swords are characterized by a curved, slender and single edged blade. 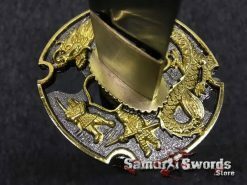 Samurai sword guard could either be circular or square in shape. It has a long grip that can allow the user to use both hands at the same time. 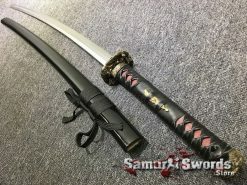 Samurai swords like the Katana were develop from the tachi, with a new big twist, the Katana was worn with the cutting edge up, allowing for a swift and easy draw of the sword and attacking in one single motion. 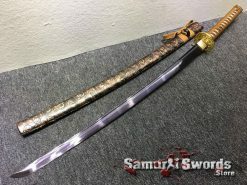 This sword’s popularity came about because of the changing techniques in close combat warfare. 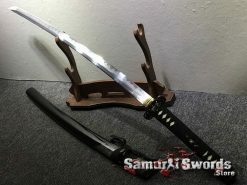 The goal of using these Samurai swords is to allow the user to draw and strike the enemy in one fluid motion. The victory of the Samurai lies in his quickness in responding to a fight. 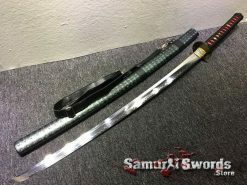 The Samurai sword Katana was worn using a belt like sash called Obi. 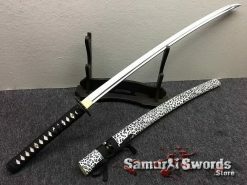 and was often paired with a Wakizashi. 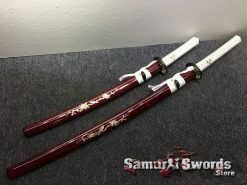 These pair is referred to as daisho. 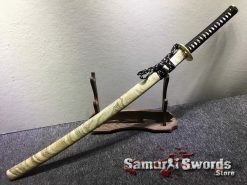 This privilege is given to the Samurai only. 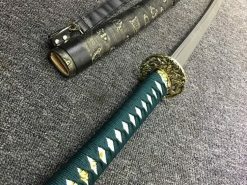 These swords represent his power and social standing. This gives him the honor to be known as a warrior of feudal Japan. 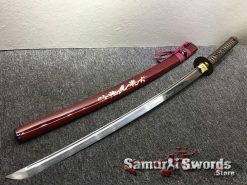 Before the advent of those samurai swords, swords were imported from China. 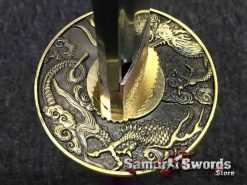 One of the famous swordsmith and his son forge a high quality Japanese blades. 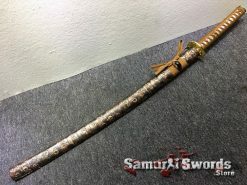 This replace the broken swords use by army that suffered irreparable damage during one of the wars. 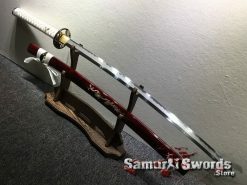 The next war turn into victory for the Japanese thanks to this sword. 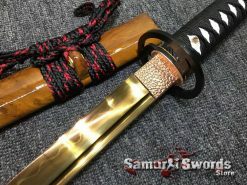 The Samurai sword is the Samurai soul. This deep attachment to his weapon results to a perfect blend of form and function. This is why using the finest and purest steel is essential. 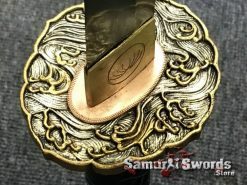 The process of producing a tamahagane like this takes time and need to be made step by step following the traditional sword making techniques of the master swordsmiths. 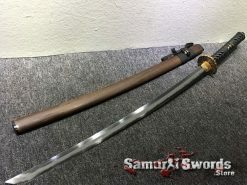 The perfect balance of properties makes this sword a durable and highly prized weapon. 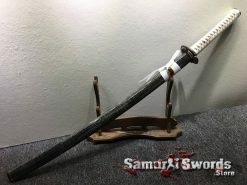 Tamahagane is used to create a Samurai sword. This is a specialized Japanese steel. 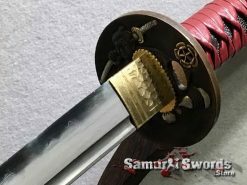 Not all Samurai swords are created from Tamahagane, however those are prized the most. Differential hardening and quenching is used to produce a gentle curve. Wet clay slurry is use to coat the blade before it is quenched. When subjecting these blades in such high temperature this produces a very hard form of steel. 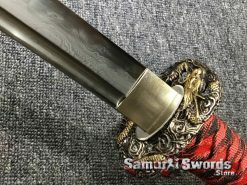 After the forging process, the blade is sent to be polished. 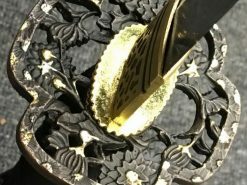 Fine grains of polishing stones are used to make these blades shine like a mirror. The final process calls for drilling a hole in the non-edge part of the blade or tang. Bamboo pieces are tied using a cord. 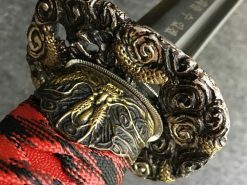 Because of the processes that these Samurai swords have gone through these are well known for being exceptionally sharp and tough. 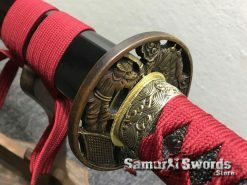 Samurai swords remains appealing to a wide range of people even those that are of different culture. 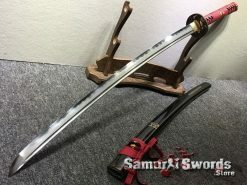 Some martial arts promote the use of these swords by teaching different kinds of techniques. 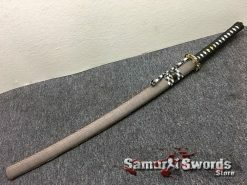 However, the ownership of a sword like this follows strict regulation. 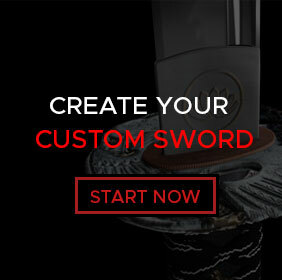 In movies or in stories, these swords inspires legends and invincible warriors of long ago. 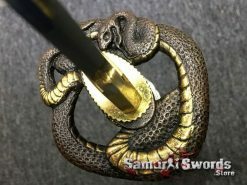 Myths have been form inspired by this sword. Some of them are true and some are not. 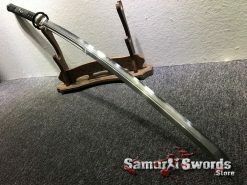 Trapping a blade using two hands is a skill that can be mastered. Movies are responsible for this myth. The truth is if anyone attempts to do this they will likely get serious cut. 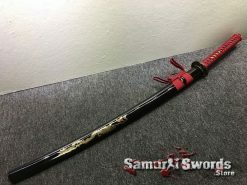 If these Samurai swords are not properly stored this can damage the swords beyond repair. 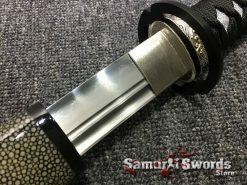 It is therefore essential to store the blade horizontally in its sheath. The curve must be place down with the edge facing up. 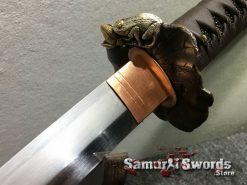 Oiling, powdering and polishing is needed to keep the blade from falling into rust. 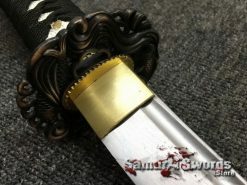 The use of choji oil is advisable since this oil has the right ingredients to protect the blade from rust. 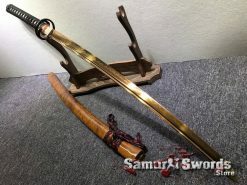 If the sword is stored for a long period of time it is essential to inspect it frequently and air it from time to time to prevent mold and rust from damaging it. 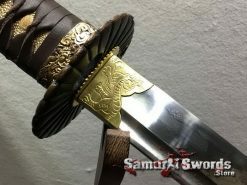 Samurai swords have remain to be perfect examples of beauty and skillful engineering. 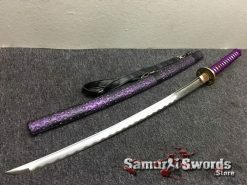 Not all kinds of swords can have the power to pierce and slash. 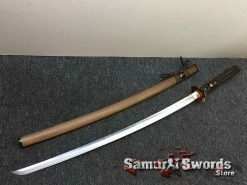 This makes these swords highly versatile weapon in battle and out of it.